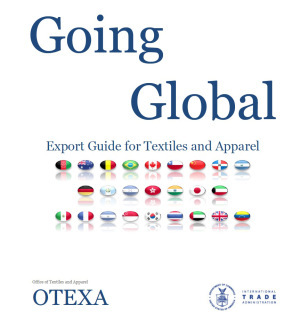 The Office of Textiles and Apparel (OTEXA) under the U.S. Department of Commerce recently released the 2013 version of the Going Global Report, which identifies both the largest and the fastest growing export markets for U.S.-made textiles and apparel (T&A) products from 2006 to 2012. Among the 15 largest export markets, six are based in America, five are located in Asia and the rest are from Europe. What should be particularly noted is that Vietnam is identified as the top fastest growing export market for U.S. made textiles by the report. In 2012, the U.S. textile exports to Vietnam increased 54.3% from 2011, totaling $66.2 million. However, according to the statistics from the U.N. Comtrade, by 2011, only 0.6% of Vietnam’s textile imports came from the United States, whereas the leading textile suppliers to Vietnam, including China, Japan and South Korea, are all based in Asia. This raises the question as to whether the Trans-Pacific Partnership (TPP), if concluded, is able to “break” the current regional production & trade pattern in Asia and positively promote the vertical collaboration between Vietnam and the United States for T&A production and trade.